TOKYO Japan's defense minister said Wednesday that he was deeply concerned by allegations that two American military servicemen had raped a woman on the island of Okinawa and suggested that the U.S. take more measures to prevent such attacks. 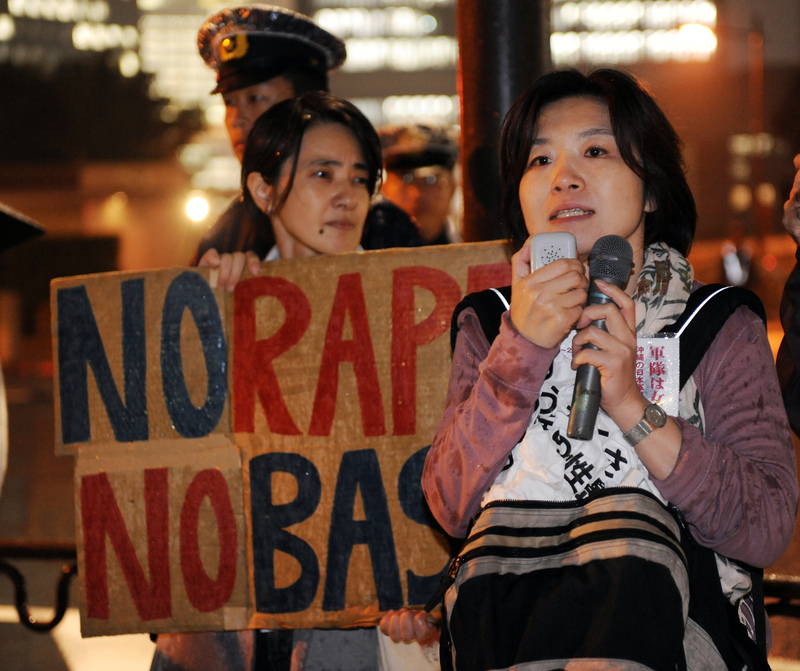 "This is a very serious crime," Defense Minister Satoshi Morimoto told reporters. Morimoto said the case follows another sexual assault in August, and he indicated he was considering discussing the matter with U.S. Defense Secretary Leon Panetta. Okinawan police arrested the two U.S. sailors on Tuesday. They were identified as Seaman Christopher Browning and Petty Officer 3rd Class Skyler Dozierwalker of the Fort Worth Naval Air Base in Texas. Both are 23. According to Japanese media reports, they had been drinking before they attacked the woman, in her 20s, who was on her way home before dawn Tuesday. The two were in Japanese police custody, according to Okinawa Prefectural Police spokesman Takashi Shirado. Later Tuesday, police handed over investigation to prosecutors to decide whether to press formal charges. The arrests sparked immediate anger on Okinawa, which hosts more than half of the 47,000 U.S. troops in Japan and has recently seen massive protests against plans to deploy the Marine Corps' MV-22 Osprey to a base there because of safety concerns. Tensions between the U.S. military and their Okinawans hosts are endemic, and base-related crimes are a particularly sensitive issue.